Sell Sheets Get Your Message Into Your Customers Hands! 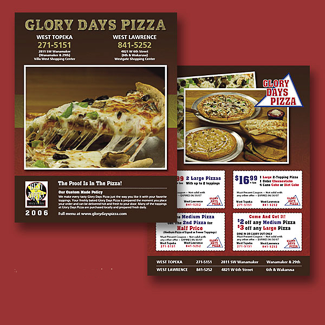 Sometimes called handouts, or flyers; sell sheets are typically one or two sided, single page, 8.5 x 11" printed pieces that contain pictures and detailed data about your product or service. Whether you hand the sell sheets out at a trade show or on the sidewalk in front of your business, you want the sell sheet to be high quality. The quality of your sell sheet will impact the impression a potential customer has about your business. Customers like sell sheets as they provide a reference material that they can hold onto and refer back to as they make their purchasing decision. Sometimes sell sheets are included as part of a "sales kit" or "press kit" that incorporates other documents associated with the product or service. Sell Sheets are a simple and inexpensive way to promote your business. Whether you need large or small quantities of sell sheets, QPS can get them done when you need them at a cost that fits your budget.